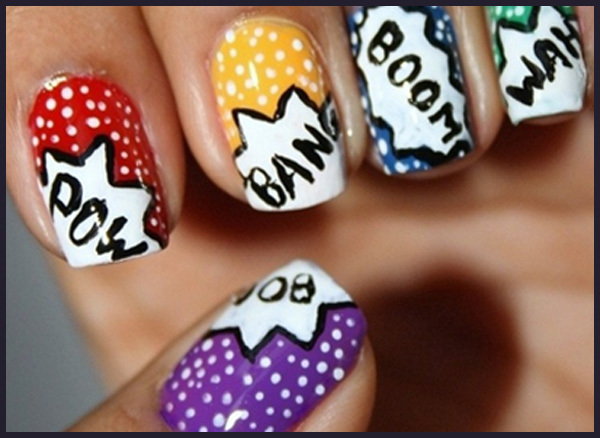 All girls love nail art, whether young high school girls, college going girls or young adults. 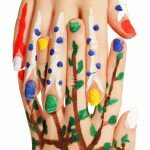 While wearing colours on your nails is a nice way to do your nails, creating fun and different nail designs is a great way to sport some lovely nail art. 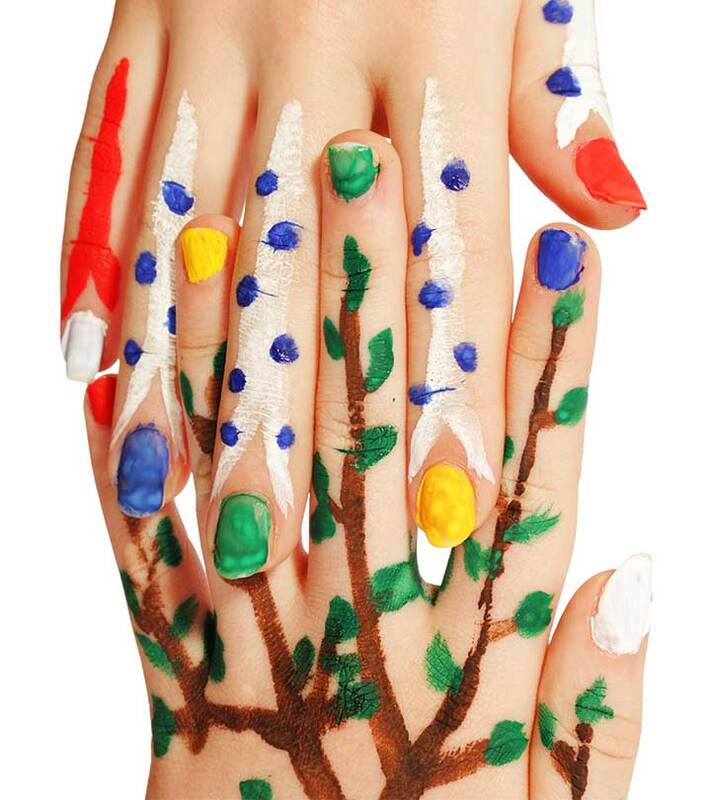 There are various kinds of nail art that you can try out to give the nails a stylish yet different look. 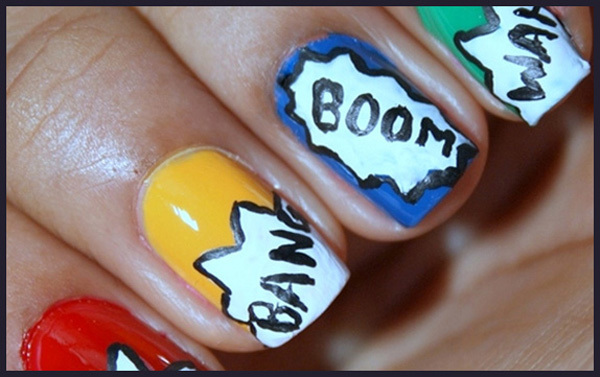 Nail art will mostly suit all kinds of nails, long or clipped, as well as girls and ladies of most ages. Now write some pop words inside the explosions like BOOM! WAH, BANG, Ka-Pow, CRASH! Of course you can write any words of your choice. Randomly place small white acrylic dots in the remaining area. 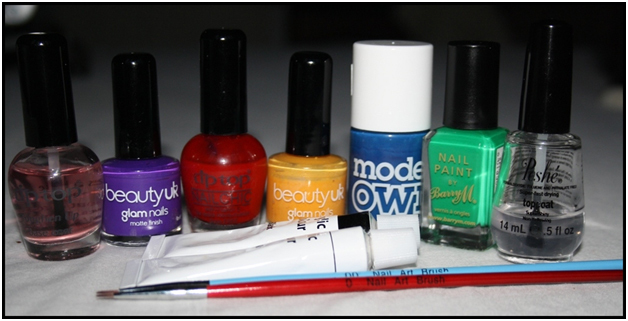 Do the clean up around the nails using water or a nail polish remover. Next, apply a layer of top coat. 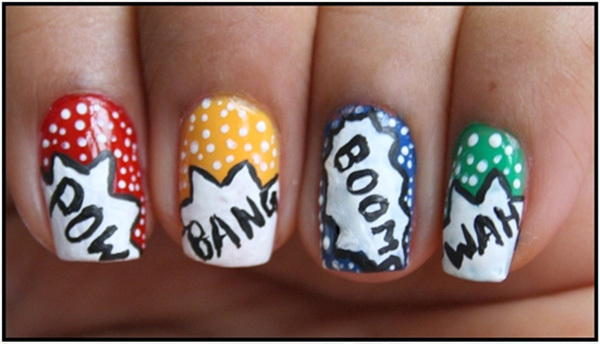 And Voila you have a funky and attractive nail art for your short nails! Here is how it looks! 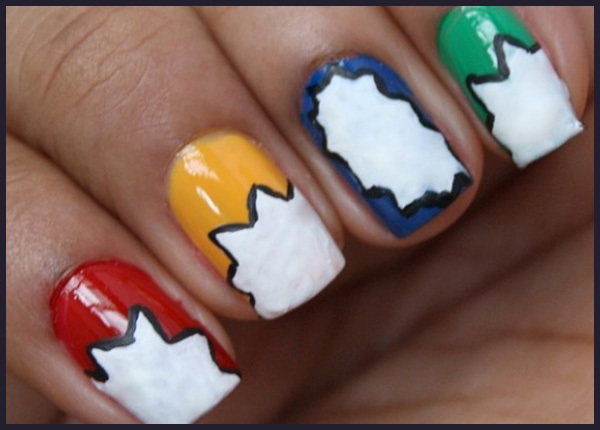 Hope you will surely try this nail art design and don’t forget to tell us all about it.